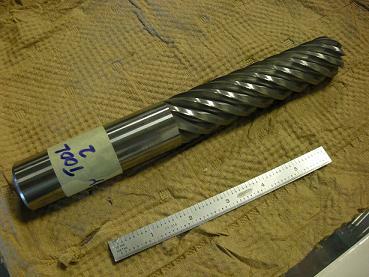 Edge prep is a process that is used to increase the performance and life of cutting tools. Our edge prep case studies page is dedicated to highlighting the benefits of edge prep by looking at real applications, and being able to determine the changes in tool performance based solely on the edge prep process. We will continue to update our edge prep case studies page as we receive feedback data and information from our customers. What We Did: Apply a light edge prep to the tip, angle and O.D. of the tool. This test consisted of two tools, the first being applied a light prep, and the second being applied a medium prep. The life of the first tool was as described in this report, while the life of the second tool declined. This demonstrates the critical nature of a consistent and repeatable edge prep to the cutting tool edge.